Posted on January 20, 2018 at 12:19 pm. As I catch-up on posting shows that should have been posted several months ago, but are (perhaps sadly) still quite timely, I’m pleased to post Show # 262, May 31, 2017, my interview with Prof. Al Roberts, Director of the School of Public Policy at University of Massachusetts, Amherst, and author of Four Crises of American Democracy: Representation, Mastery, Discipline, Anticipation. Al is one of the nation’s leading scholars on government secrecy, and his recent work has focused on the broad functional challenges faced by governmental institutions today. In our wide ranging discussion, we examined the state of government today, its capacity to withstand the pressures exerted on it by outside forces, and what we can reasonably expect government to do and not do in response. Obviously pressing and critical issues, I always enjoy my discussions with Al, and hope that you do as well! Posted on January 18, 2018 at 12:59 pm.  I’m delighted to post another 2017 show, # 261, my May 31, 2017 interview with Prof. David Golumbia of Virginia Commonwealth University, author of The Politics of Bitcoin: Software as Right-Wing Extremism. In his book, David examines the connections between cryptocurrencies and the United States’ far right. Specifically, David identifies the underlying theories that animate both cryptocurrency enthusiasm and far right thinking today. While our wider US political context plays an important role in understanding David’s critique, cryptocurrency structure and stated goals stand at the center of David’s focus. I enjoyed discussing this challenging and timely topic with David, and fully expect that his scholarship will help us understand where we are headed as commerce becomes increasingly decentralized. Posted on January 17, 2018 at 2:03 pm. On this unusually snowy day here in Greensboro, North Carolina, I am returning to Hearsay Culture. For now, I will explain my absence for the past 13 months simply by noting that the results of the 2016 elections caused me to focus my attention elsewhere. On a personal level in the past year, I’ve launched a new non-partisan policy advocacy group in Greensboro and taken on the Presidency of the Greensboro City Arts Drama Center’s Booster Club (in which my sons are very active). Moreover, I’ve deepened my focus on daily efforts to bolster our governmental institutions and oppose the unprecedented assault on decency and facts that envelops our nation, through advocacy and education. On a professional level, several law review articles have been published or will be soon. The most recent article, Confidentiality Creep and Opportunistic Privacy, has just been published by the Tulane Journal for Technology and Intellectual Property. Additionally, I’m honored to have been named the Jennings Professor and Emerging Scholar at Elon University School of Law. In addition to teaching Contracts, Intellectual Property Survey, Internet Law, Privacy Law, and Trade Secrets, its been a busy year. Hearsay Culture, in its current form, has therefore taken a backseat. But in this new year, I will be returning to recording new interviews. I am also in the process of revamping Hearsay Culture to be more relevant and influential within the media culture and information systems that dominate today. More on these issues in the future. For now, I’m here to post several shows from last year, and apologize to all that they were not posted more quickly after having aired on KZSU. Fortunately, the issues within these interviews are hardly stale; indeed, they perhaps have more currency now than they did when recorded. Thus, I’m pleased to post Show # 260, May 31, 2017, my interview with UCLA Prof. Ramesh Srinivasan, author of Whose Global Village? Rethinking How Technology Shapes Our World. In his essential book, Ramesh takes on the difficult question of how technology impacts communities and cultures that are often ignored by the entities and governments that dominate the technology world. The challenges here are many, from the private development of information dissemination tools, to the ethical obligations of technology developers to consider broad perspectives and uses throughout their design and implementation process. Ramesh and I dug into these and other issues in our fascinating interview, and I’m delighted to post it today, as these issues remain at the forefront for policymakers throughout the world. Thank you Ramesh for your diligence and your patience! Posted on December 10, 2016 at 7:53 am. Elon Law lost a tremendous teacher, scholar, mentor, and colleague this past Wednesday, Prof. Michael Rich. Mike’s commitment to Elon, and particularly the work that he did in service of its new legal education program — after his cancer diagnosis — was a marvel of professionalism and dedication. More broadly, the legal community has lost a scholar of immense talent, whose foundational work in policing and algorithmic computing will inform future scholarship and policy for years. That he was also beloved by his students demonstrates that he was truly the ideal law professor and colleague. Our world is much poorer in Mike’s absence. On a personal note, Mike was a close colleague and even closer friend. His integrity, humor, candor, and enormous insight will be missed dearly. Even though Mike is no longer with us, his character and integrity will inspire me for the rest of my days, and I consider myself fortunate to have known and worked closely with him at Elon these past several years. For the benefit of Hearsay Culture listeners and for those who didn’t know his work, I’m reposting my August 2013 Hearsay Culture interview with Mike, and will re-air it next Friday at 2pm pacific on KZSU. At that time, Mike was just getting into the policing and algorithmic computing issues about which he later became known. Much more than just having a dear and close friend and colleague on the show, Mike’s work deserved (and deserves) significant attention. Mike was, naturally, a terrific guest, and I loved having him on the show. Mike’s groundbreaking work can be found on Google Scholar. My thoughts and prayers are with Mike’s wonderful wife Amy Minardo, as well as Mike and Amy’s beautiful daughters. May Mike’s memory be a blessing to all. Posted on November 8, 2016 at 2:55 pm. As you may have noticed (even in the barrage of election coverage), I’ve been silent since the end of July. The reason is rather simple: since July, I’ve taught five classes (Contracts, Intellectual Property Survey, two sections of Internet Law, and a new course (for me), Employment Discrimination Law). To do that well, along with being a present husband and father to my two young sons, and maintain forward motion with my scholarship, Hearsay Culture gives way. I don’t like that effect, but its unavoidable so long as I continue to do the show gratis (which is not a complaint; its a reality). So, on this momentous and nerve-wracking Election Day afternoon, I’m pleased to post one new show, Show # 259, September 16, my interview with the amazing Prof. Shannon Vallor of Santa Clara University, author of Technology and the Virtues: A Philosophical Guide to a Future Worth Wanting. Shannon has written an exceptionally important and unique work focusing on what personal virtues should guide our integration of new technologies into society. Defining the contours of what she calls “technonormal virtues,” Shannon calls on informed citizens to become “moral experts” in a collective effort to create “a future worth wanting” (or, even better, demand for “useful tools that do not debilitate us.”) Because Shannon writes about philosophy and virtue as an applicable construct rather than an abstraction, her book should be required reading for anyone seeking better understanding of how we might achieve the best social and moral results from our technological advancements. I very much enjoyed the interview, and hope that you find it valuable and gripping. Indeed, with so much left to discuss, look for part two of the interview in December! Posted on July 30, 2016 at 7:36 am. I’m pleased to post show # 258, June 24, my interview with Prof. Paul Ringel of High Point University, author of Commercializing Childhood. Paul’s study may seem superficially beyond Hearsay Culture’s scope, until one considers the role of marketing, especially to children, on the Internet. Paul’s book frames part of this heretofore-unknown marketing history by focusing on early American efforts to create children’s magazines. As a historian, Paul explores the motivations for creating such magazines, as well as their successes. In our interview, we discussed this history and how we might think about today’s technologically-enhanced efforts to capture children’s eyeballs. I greatly enjoyed this discussion with my friend Paul, and hope that you find it enlightening! Postscript: Look for the Fall 2016 quarter schedule in August, which begins in September 2016. Have a great rest of the summer! Posted on July 29, 2016 at 8:23 am. I’m pleased to post show # 257, June 17, my interview with Prof. Neil Netanel of UCLA Law, author of From Maimonides to Microsoft: The Jewish Law of Copyright Since the Birth of Print. I’ve had occasion to discuss Jewish intellectual property law in the past, and always seize the opportunity when it arises. Neil offers such an opportunity, as he’s written a thoroughly researched and annotated history of the Jewish copyright law and theory. As we discussed, this was a particular challenge since the word “copyright” is largely absent from Jewish writing. Drawing on extensive Jewish law and commentary over centuries, Neil articulates the many facets of Jewish copyright theory that capture elements of modern copyright theoretical bases like personhood and Lockean labor. By examining not just the theory but the types of disputes that arose in Rabbinical courts, as well as the relationship between Jewish jurists and their non-Jewish counterparts, we had a unique and fascinating discussion. Having a prolific and thoughtful scholar on the show is always an honor; thus, I hope that you enjoy this in-depth conversation with one of intellectual property law’s scholarly giants! Posted on July 28, 2016 at 2:18 pm. and taking the stage (really). As a result, Hearsay Culture has taken a bit of a summer hiatus; but, I have a few more shows from the past two months to post. Here’s the first, show # 256, May 20, my interview with Francesca Musiani of the French National Centre for Scientific Research, Profs. Derrick L. Cogburn of American University’s School of International Service (SIS), and Laura DeNardis of American University’s School of Communication, co-editors of The Turn to Infrastructure in Internet Governance. Francesca, Derrick and returning guest Laura, along with co-editor Nanette Levinson, have gathered leading scholars and thinkers on the state of Internet operations. This area is critically important as the Internet moves into governance by international, rather than American, organizations. Particularly given the chaotic state of our public discourse, it is essential for policymakers to understand the various forces that operate to expand and constrain the Internet. In our discussion, we covered a range of topics, from Internet governance politics to whether international bodies can take on this complex task. I greatly enjoyed this wide-ranging discussion! Posted on June 20, 2016 at 6:25 am. I’m pleased to post Show # 255, May 13, my interview with Prof. Michael Schudson of the Columbia School of Journalism, author of The Rise of the Right to Know: Politics and the Culture of Transparency, 1945–1975. Michael is one of the leading media historians writing today, whose many books have helped shape the media studies field. His focus in this work is the mid-century struggle to offer public access to government operations despite the many traditions and practices that pushed against such openness. The post-war era was marked by many ebbs and tides of openness, of which the passing of the Freedom of Information Act (FOIA) was most well-known. In our discussion, we focused on FOIA and other open government laws, its challenges and the impact of this history on our understanding of the Wikileaks-Snowden era. I was thrilled to have Michael on the show, and hope that you find the discussion enlightening. 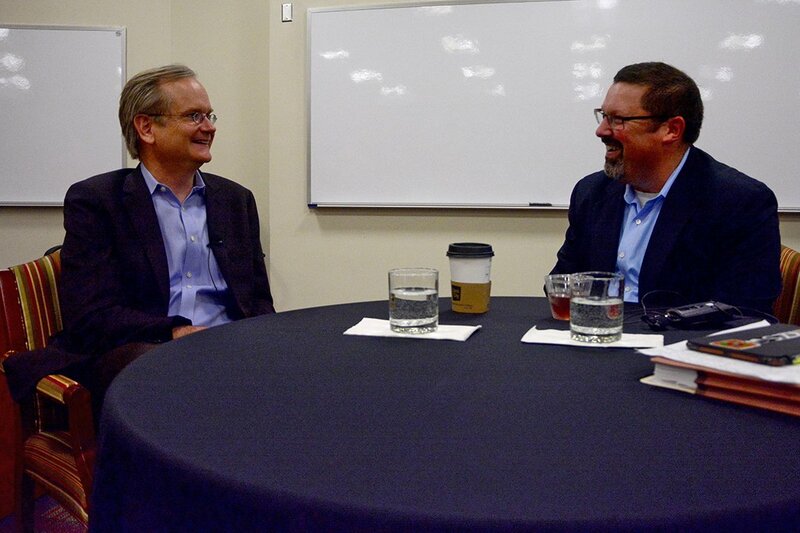 Tenth Anniversary Show, #254 with Prof. Lawrence Lessig, posted! Posted on May 27, 2016 at 1:47 pm. For your Memorial Day weekend, I’m am amazed and humbled to post Hearsay Culture’s tenth anniversary show, # 254, recorded on April 26 and aired on KZSU on May 6, 2016, with Prof. Lawrence Lessig of Harvard University, reflecting on the past 10 years of Internet law and policy, and his current efforts to fix democracy. On a day when he was scheduled to fly to Washington, DC to pay a fine for having been arrested on Capitol Hill protesting the state of our campaign finance laws, Larry came to Elon Law and chatted with me for an hour in front of a live audience. We discussed a range of topics, including Larry’s assessment of his role in the Eldred copyright duration decision, his current proposals for addressing the crippling effects of our campaign finance laws on policymaking, his Presidential run, the parallels between the fix democracy movement and civil rights movement, and whether he considers himself an idealist. Along the way, Larry also shared advice both for parents and for aspiring lawyers; advice that has stuck with me, as a law professor with two young sons, since. Suffice to say, I’m grateful for Larry’s return to the show, and for taking time out of an unusually busy day to celebrate Hearsay Culture’s tenth anniversary! Moreover, I should note that I thank lots of folks and entities during the interview, without whom Hearsay Culture would not be what it is today (starting with my wonderful listeners). I am grateful for your support, encouragement and collegiality, and look forward to another 10 (!) years! Enjoy; I dedicate this show to you!